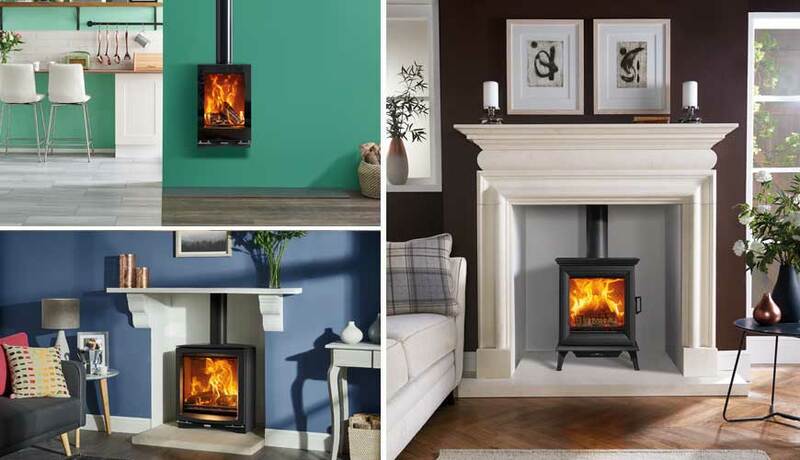 Home » Blog » Posts » News & Updates » Latest Stovax Wood burning and Multi-fuel Stoves Brochure Now Available! A Stovax stove is the sum of over 37 years of British design and engineering. Designed to not only provide a deep, warming heat for your home, each brings with it both character and individuality. Whether you opt for one of our traditional or contemporary designs, our obsessive attention to detail ensures our stoves are as refined on the outside as they are innovative on the inside. These latest additions are innovatively designed, solidly built and meticulously tested to ensure they continue to heat your home for many years to come. The all-new Ecodesign wood burning and multi-fuel Sheraton stove joins Stovax’s traditional stove collection, presenting classic but sophisticated styling with strong architectural influences. Featuring cutting edge technology, this innovative stove ensures extraordinary cleanliness of burn, with most models satisfying both smoke control restrictions and Ecodesign air quality standards. Featuring a slimmer depth than the existing Vogue Medium, this wide-format stove features a huge viewing window for a superb flame picture and has a heat output of up to 5kW. This impressive stove makes a great choice for typical homes sizes or open settings in more modern, insulated properties. This new mounting choice gives gives homeowners a bold, stylish alternative installation solution for their Vogue Midi T stove. This versatile stove fits perfectly into contemporary and traditional interiors alike.The range’s advanced Ecodesign ready Cleanburn combustion systems allow the Midi to reach an impressive 81% thermal efficiency whilst generating an ample 5kW of heat. Expanding the Vision range with an all-new size, the Medium Slimline stove offers the perfect combination of flame visuals and heat output. Designed with a wide firebox and expansive viewing window, this stove ensures it only protrudes minimally into the room, whilst providing 5kW of heat. It is also Smoke Control Approved. 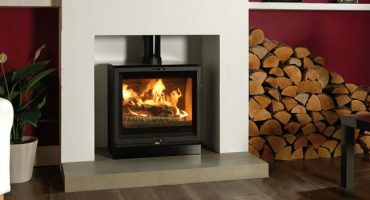 New to the Vision Midi T wood burning and multi-fuel stove is the stylish wall mounting option, allowing for the floating installation in-keeping with the stove’s modern aesthetics. This wall mounted wood burning stove is perfect for settings such as kitchens or dining areas! 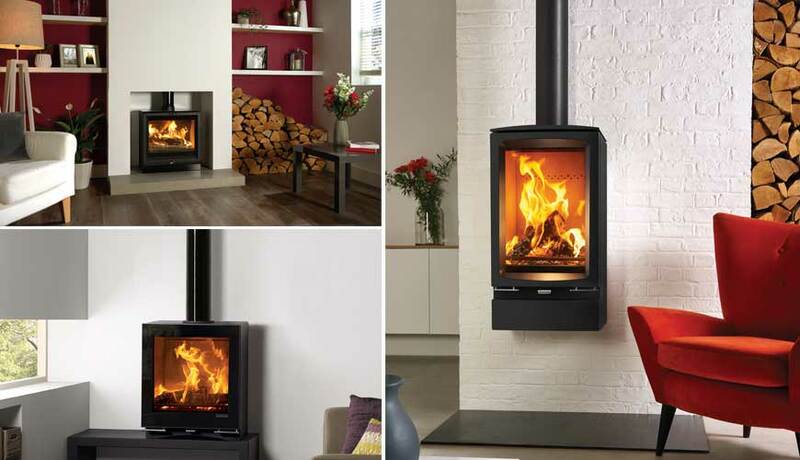 With impressive flame visuals, the wide-format View 5 Wide stove features slimline proportions, reduce depth and ensure a versatile 5KW nominal heat output. Available in both dedicated wood burning and multi-fuel stove models, the View 5 Wide is designed with high efficiency, cleanburning combustion technology. It can also be styled with a black ceramic glass top plate, as well as stainless steel air control if desired, to enhance the stove’s contemporary appearance. Where can I download the brochure? 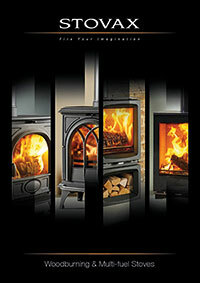 You can download the latest Stovax stoves brochure by clicking here. 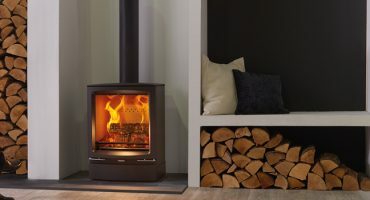 Where can I purchase these wood burning and multi-fuel stoves? We take great care to ensure that our stoves are designed, tested and manufactured to the highest possible quality and safety standards. It is just as important to us that they are sold and installed correctly, so that you enjoy years of pleasure from your purchase. Accordingly, you will find our products are only available from experienced, independent retailers who will be happy to show you a selection of models locally in their showrooms, often burning. For more information on how to find the right type of wood to burn in your appliance visit our how to identify good firewood on our Stovax.tv. 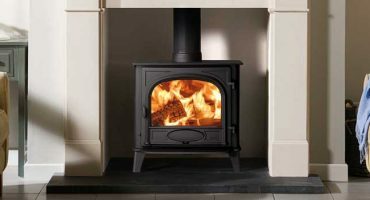 Stockton 5 Wood burning and multi-fuel stove goes Wide!